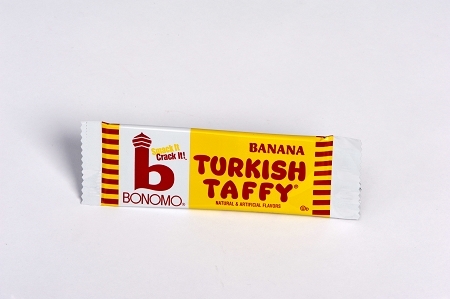 Bonomo Turkish Taffy is back in its original formula! Whether you remember this delicious taffy from your childhood or you heard your parents and grandparents talking about it, you can get Bonomo’s taffy in all of the original flavors! Try this delightful, satisfying banana taffy bar today! It’s taffy-rific! Want to try all of Bonomo’s taffy flavors? We offer all of our original flavors, including: vanilla, chocolate, strawberry, and banana. Check out our other product pages to get your favorite taffy today! The Best thing humanity's ever done.Nuff said.